The Global Military Floating Bridge Market is expected to grow at a CAGR of 5.2% during the forecast period. Rapid technological improvements in the defense sector and innovation of existing floating bridge systems are some key factors influencing the market growth. In addition, rapid deployment capability of military bridges is one of the rising trends envisaged to propel the growth prospects for this market in the coming years. However, high product replacement cycle is inhibiting the market growth. Depending on Product, the modular floating bridge segment commanded the largest market share due to the increasing instances of urban conflicts involving river, the rising operational requirements and technological advancements. Europe held the largest market share during forecast period. The growth for this region is due to the presence of major rivers in Europe and influenced the armies to deploy technologically advanced rafts, pontoon bridges, and ferries. In addition, European countries are increasing their military strength by modernizing their existing military equipment and auxiliary systems to compete with the modernized warfare. 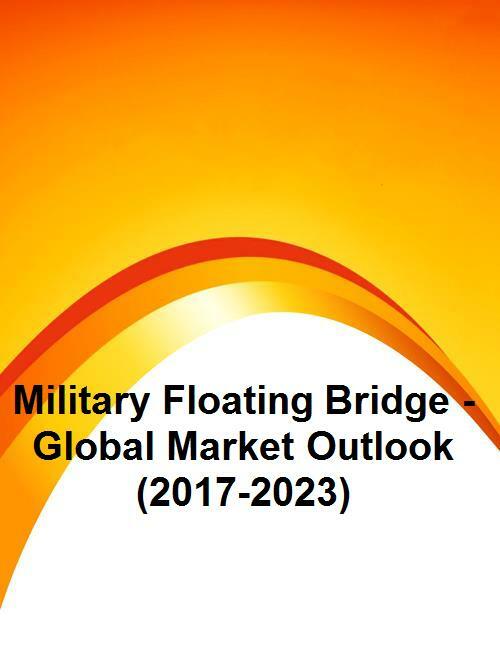 Some of the key players in global Military Floating Bridge market include AM General, China Harzone Industry, CNIM, Jiangsu Bailey Steel Bridge, General Dynamics, RPC Technologies, FBM Babcock Marine, Mabey Group, WFEL Limited and Oshkosh Defense.